Healthy cash flow is the backbone of a successful small business. A late client payment means that you need to get creative with your expenses. You are forced to invest time in chasing invoice. You pay your suppliers late or increase borrowing instead of focusing on business growth. The problem of late payments isn’t new. Over a third of B2B invoices are not paid on time, according to Atradius survey. 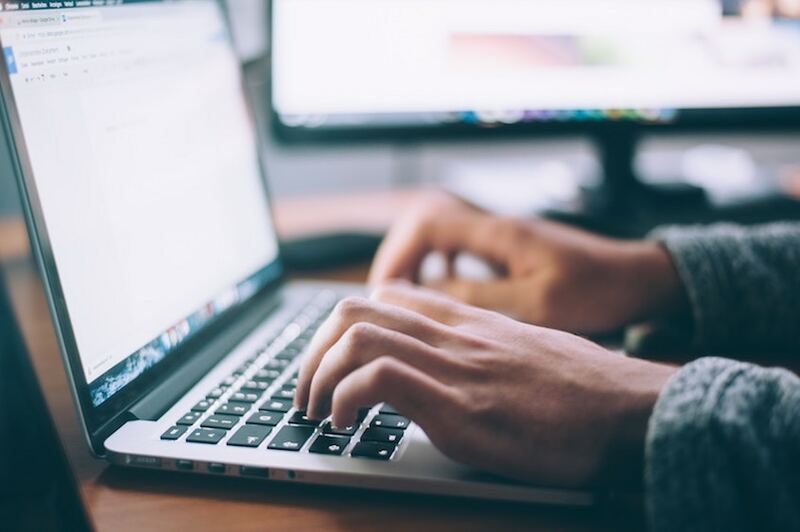 Fortunately, there is at least one proactive way to prevent and reduce the number of late payments and even call out those non-payments (ouch!). That is establishing binding invoice payment terms. Late payment penalties – something you should consider adding to protect yourself against those “forgetful” types! However, the most important clause of your invoice should be the due date. Invoice due date indicates when you expect to receive payment and helps you avoid the scenarios when your clients just “assumed” that you are OK with accepting a mail check in 3 months time (when you are probably not!). You should settle on the payment terms and due date before you accept any offer and get things cracking. Always make sure that your payment terms are written down in your contract and mention them once again separately to the client when starting a new project. Now, let’s take a look at the two most common payment terms examples – “due upon receipt” and “Net D”. Both methods have certain pros and cons that you should consider depending on your business model. The name says for itself. When you add “Due Upon Receipt” clause to your invoice, it means that your customer should take care of the payment immediately. Such option works best if you accept payments digitally using PayPal, Stripe or another online payment processor. As a rule of thumb, “Due Upon Receipt” invoices should be paid by the end of the next business day. 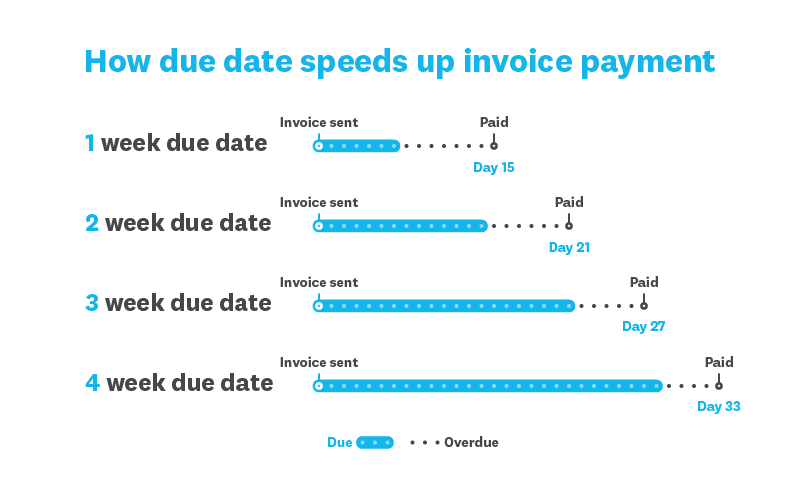 If the client agreed to this method but failed to pay on time, you can get out your “guns” and start clocking late invoice payment fees for each day of delay. Fast payments = less cash flow problems. They are easier to track in your accounting system. You won’t forget about the money being owed to you and will not waste time on retrieving data on the job you did three months later. You’ll thank yourself during tax season, as your books and records won’t have any “holes” and so does your pockets. Not all clients can or will agree to this payment term. Some companies have fixed purchasing cycles. Others deal with certain cash flow limitations of their own and have to wait till their “payday” arrives before they can settle your invoice. Some projects require careful review and most clients will want to double-check that you have delivered everything up to the specs before signing off the invoice. Again, this will likely result in delayed payments. In general, “Due Upon Receipt” invoice term works best for smaller, one-off projects with clearly defined deliverables e.g. a two-page legal translation or a new UX mockup. Also, you can leverage this invoice term for project deposits and down payments. This way you can somewhat verify whether the client will be a potential troublemaker in the future when it comes to payments. Net D is a common financial term indicating that the invoice is due within a certain number of days, the “D” variable. Net monthly –invoice due for payment at the end of the month following the date of invoice. So if you have sent your invoice on the 20th of October, the latest payment term for the client will be November 30th. Basically, you can add any number of days as long as it makes sense both for your and your client. Net D payment term works best for the final job payments or for pre-agreed milestone payments over the course of the project. You set fixed paydays that are usually easier to meet for the clients, especially if you are working with a larger enterprise with a dedicated accounts division. Most clients typically prefer Net D method, especially for larger projects. You need to wait longer for the money to arrive in your account. Net 30+ payments may fall through the cracks occasionally, meaning that you will have to follow-up and wait till the company circles back to your issue. In essence, Net D works better with larger, enterprise-sized companies who have specific billing cycles to follow. However, there’s one savvy trick you can use to speed up those Net payments. So yes, your client is still needs to pay you within 30 days upon receiving the invoice. But…the 5/10 prefix stipulates that you will give them a 5% discount if they pay that invoice within just 10 days. You can mix and match those numbers the way you like to solicit more early payments whenever you need those extra dollars to your name. EOM is the shorthand for “End of Month” payment. And it’s exactly what it means – you indicate that your invoice should be paid by the end of the month. EOM payment term is an excellent option for all sorts of recurring payments and retainer agreements. You do regular scope of work for a certain client e.g. 20 hours of accounting help per week or deliver 5 blog posts per month. You add the EOM clause to your invoice and regularly receive your payments by the end of the month. The particular appeal here is that you can file such invoices anytime, rather than when you are actually finish with the job. A progress payment is another way of covering ongoing work over a long period of time. Instead of sending sets of Net D invoices, you can agree upon predetermined milestones, covering different aspects of the project, and indicate those in your contract. Once you reach a certain milestone, and the client approves it, you receive your payment. If the milestone invoice is past due date, it’s quite common to apply penalties. The invoice terms described above work perfectly for service businesses and those selling digital goods. COD – cash on delivery means that your customer has to pay for received goods at the time of delivery. If they fail to comply, the product will be returned back to you, so mind the shipping costs. CBS – cash before shipment. You accept a down payment from your customer before delivering the product to them. This option is handy if you are producing something on-demand, or fulfil a custom order that will require additional manufacturing costs. CND – Cash Next Deliver is an excellent payment term for recurring deliveries e.g. weekly or monthly. It indicates that the current delivery must be paid for before the next delivery takes place. Contra Payment can come handy when dealing with a supplier or a contractor whom you owe payment, but who also did some work for you. This term stipulates that instead of exchanging full invoice payments with one another, the party that owes more will simply pay the difference between the two invoices. Adjust your invoice payment terms depending on individual clients and current business circumstances. 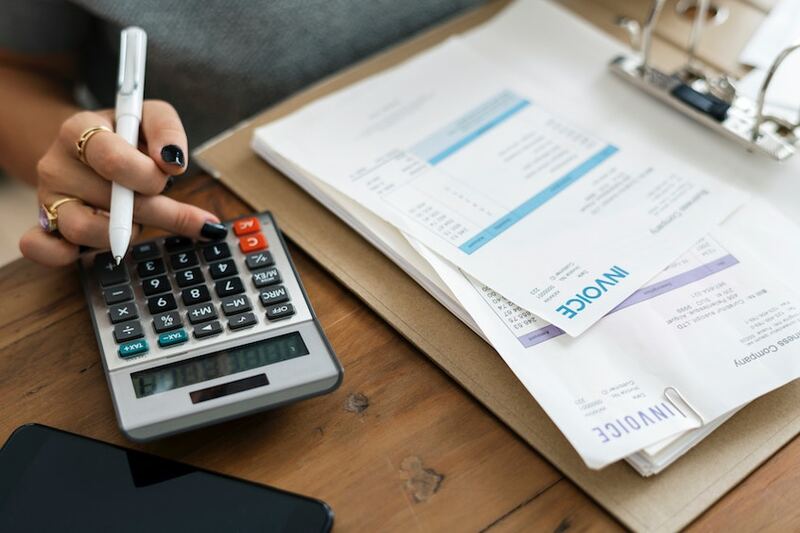 Having a streamlined invoicing process can dramatically improve your business health and reduce the time you waste on collecting what you have earned! 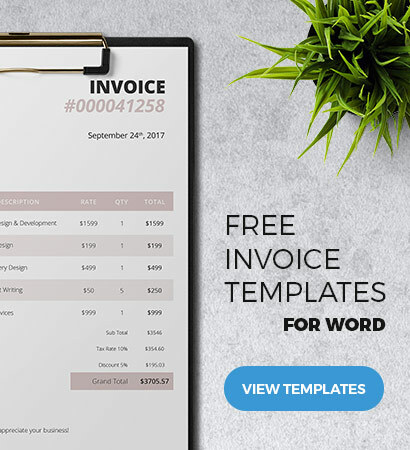 And if you ready to put those invoice terms into action, be sure to download and customize one of our professional invoice payment templates – a delightful little element that can solicit even more timely payments!